Another reliable B2B Magento 2 extension from the portfolio of Cart2Quote is Not2Order. 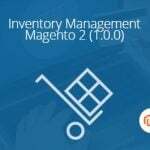 This tiny B2B tool is designed to hide 2 core frontend elements – “Add to Cart” button and product prices that is especially useful in a combination with the Cart2Quote Magento 2 extension – a comprehensive quotation manager. 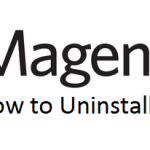 The functionality of the Not2Order Magento 2 extension is quite simple: you can use it either with the aforementioned tool or as a standalone solution. In the first case, the extension allows you to hide prices and disable ordering functionality for the whole store to engage your customers create quotation requests. As for the second case, Not2Order can be used to restrict the aforementioned functionality and information for certain customer groups. This will help you hide prices from competitors as well as motivate users to register. Let’s see the examples of the extension’s core functionality. As for the different store views support, it becomes useful when you have both B2B and B2C websites. For instance, you show prices and enable “Add to Cart” button for B2C storefront, while your Magento 2 B2B customers only get the ability to create quotations. The Not2Order functionality can be enabled on the basis of website, store, or store view. Furthermore, it is possible to enable/disable the desired functionality for individual products. Thus, you will make your ecommerce business even more precise. The necessary options are available among product settings in the backend. Thus, the Not2Order Magento 2 extension allows you to turn your Magento 2 store into a catalog where prices and “Add to Cart” button are hidden and customers should contact you by phone to make a purchase. This approach is widely used for products that require complex configuration before being ordered. Now, when you know all core aspects of the Not2Order functionality, we can dive deep into its backend as well as explore the frontend. The backend section of the Not2Order Magento 2 extension is quite simple. It is divided into 4 blocks: General, Global, Replacement Button, and Advanced. 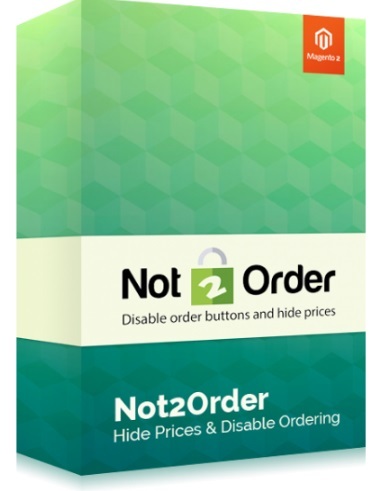 In the General block, you enable/disable the Not2Order functionality on the frontend. The Global block allows you to hide an order button as well as a shopping cart and other cart references (“Hide order references”). At the same time, there are two separate options designed to hide “Add to Cart” button and prices – “Hide order button” and “Hide price” respectively. In Replacement Buttons, you decide whether to replace the button or hide it. In case of replacement, the Not2Order Magento 2 extension allows you to specify a replacement button title, add URL, specify CSS classes, as well as choose a target (“Open link in a new window or tab” or “Open link in the same page”). In Advanced settings, you can specify an “Add to Cart” button block name and a cart block name. As for hiding a price and “Add to Cart” button for certain products, the Not2Order allows you to do this via a product via page. 4 new options are added there: Hide Product Price, Hide Price for Customer Groups, Hide Order Button, and Hide Order Button for Customer Groups. Besides, you can choose a store view in the top menu to apply the new settings to. The same is about the extension configuration. Below, you can see all product info/button combinations possible with Not2Order and Cart2Quote. As you can see Not2Order can be used as a standalone tool to restrict access to product prices and ordering functionality and as a supplementary unit for the quotation manager. As for the price of the Not2Order Magento 2 extension, you can purchase it for €149.00. The same is about its predecessor.